In this second edition of Local Artist’s City Guide we’re featuring Eindhoven in the Netherlands. Marieke Vonk is a lovely Dutch designer and artist who creates wonderful paper art and illustrations. 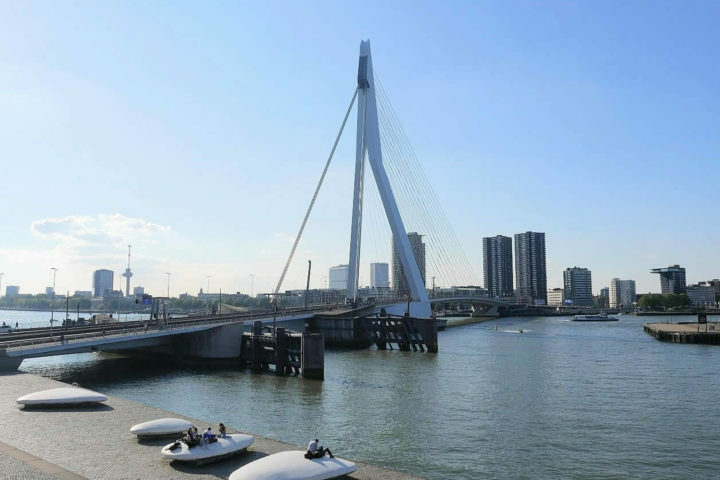 She shared with us some of must see places in Eindhoven, her home town. So, be sure to check out her recommendations before your trip there! #1 – What is your name & what do you do? I’m Marieke Vonk, a 29-year-old artist and graphic designer based in Eindhoven. I make abstract paper collages and am working on a series of fragile silhouettes. #2 – How would you describe your city? Eindhoven might not be the prettiest city at first glance, but if you look closer and get to know it a bit better it’s pretty amazing! There is a lot happening here in the fields of design and creativity. And thanks to Philips’ historic heritage we’re known as the City of Light. #3 – What are the top 3 museums you would recommend in your city? The Van Abbemuseum (modern and contemporary art), MU Artspace (present and future contemporary art) and check This is Eindhoven for anything temporary, there is always a lot to do! #4 – What are the top 3 sights you would recommend in your city? In the city center, you’ll find the Sint-Catharinakerk (by Pierre Cuypers, also known from the Rijksmuseum). And while you’re there don’t skip ‘De Bergen’, a piece of old Eindhoven with cute streets and lots of great spots to eat, drink & shop. From there it’s just a minute to Wilhelminaplein, perfect for drinks in the sun. Strijp-S is one of the former industrial areas of Eindhoven. 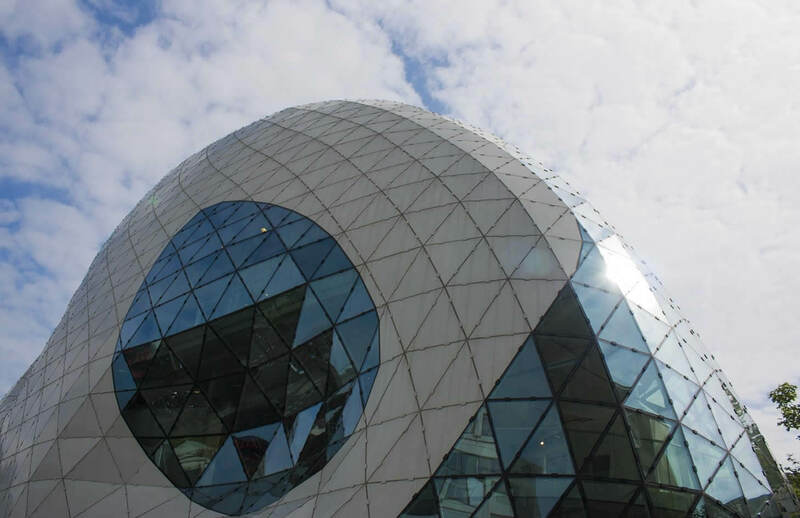 In the last few years, it transformed into one of the most inspirational parts of the city. Every 3rd Sunday of the month (12 – 6 PM) it’s FeelGoodMarket, worth a visit! Not tired of design yet? 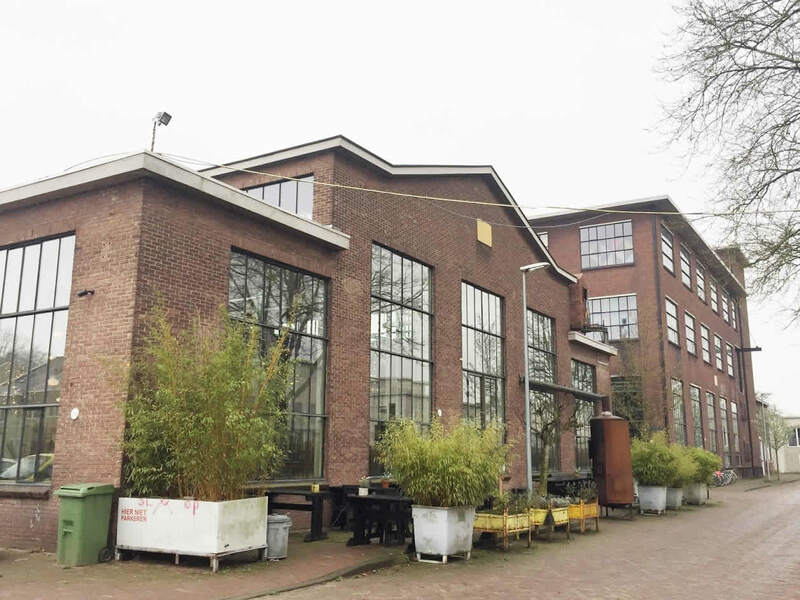 Visit Piet Hein Eek at Strijp-R, another former industrial area. It has a restaurant, atelier, shop and exhibition area. #5 – Who’s your favourite historical person that lived in your city and why? When thinking of Eindhoven, you think of the company Philips. There were a lot of Philips’s around but Frits Philips is probably the most well known. He was a chairman during the Second World War and did great things then. You can still see the big role the company played in the development of the city. There are the old industrial factory buildings, but also houses that were built to house the employees of the factories. #6 – What is your favourite café & restaurant in your city? It’s hard to pick one. That’s what I love about Eindhoven, there are so many good cafes and restaurants, you can pick a different one each time you go out. To guide you in the right directions: for sunny afternoon drinks go to Wilhelminaplein, for Friday night food & drinks the Kleine Berg has great places to offer. And if you need a café to work during the day, try Denf Coffee. #7 – What’s your favourite public art in your city? 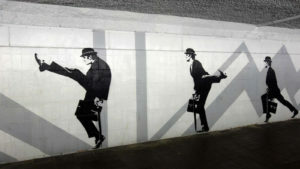 Silly Walk Eindhoven, a 130-meter long mural in the Dommeltunneltje, a tunnel for cyclists and pedestrians. 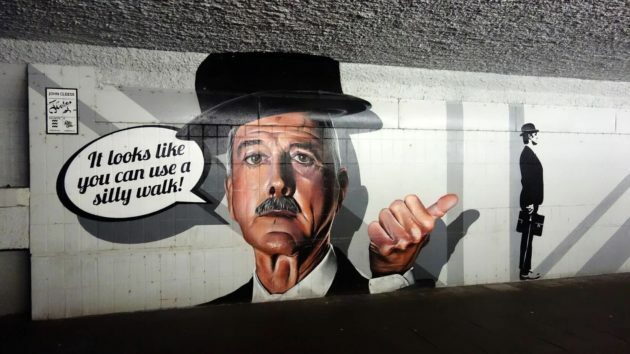 It’s a tribute to John Cleese and the Ministry of Silly Walks sketch from Monty Python, made by the local street artists and designers of Studio Giftig. And if you’re visiting Eindhoven during the Dutch Design Week or GLOW there is a lot to see as well! 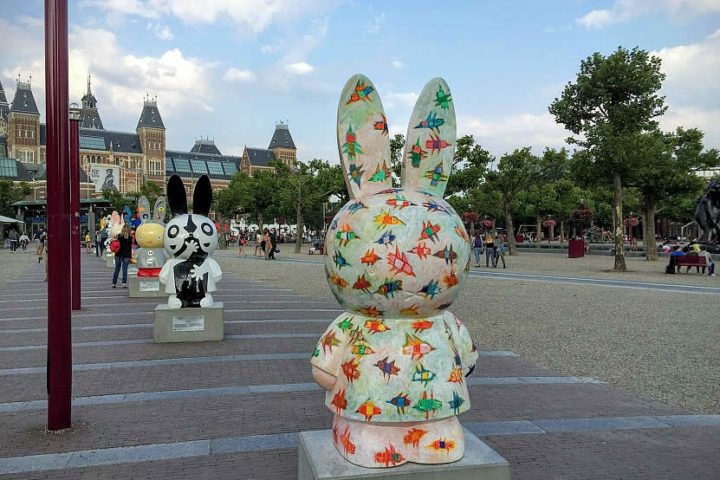 #8 – What souvenir should anyone buy when in Eindhoven? Find a piece of design that you fall in love with. There are so many great things made here, there is always something that suits your taste. 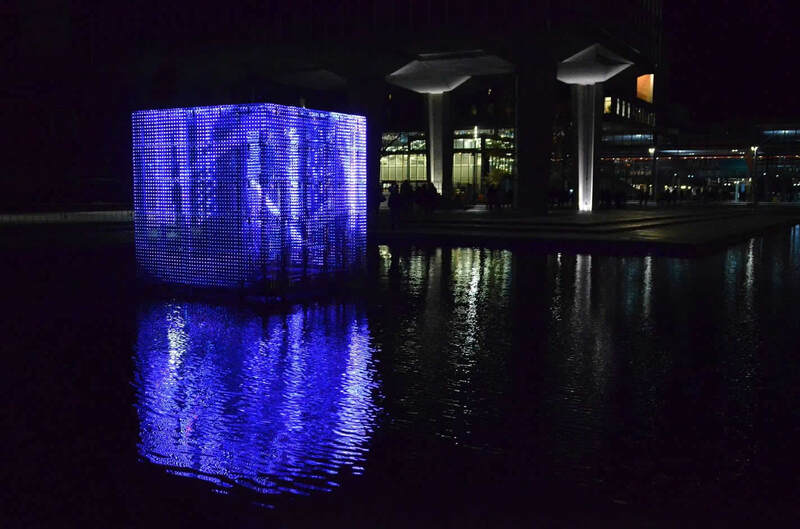 #9 – What’s your favourite secret place in Eindhoven? The Genneper Parken, perfect for any sunny day or if you’re looking for a little bit of green in the city. #10 – What’s your favourite song about your city? Not specifically about Eindhoven, but this area of the Netherlands in general: Brabant by Guus Meeuwis. When this song is played, everyone feels like a true Brabander (as locals are referred to). 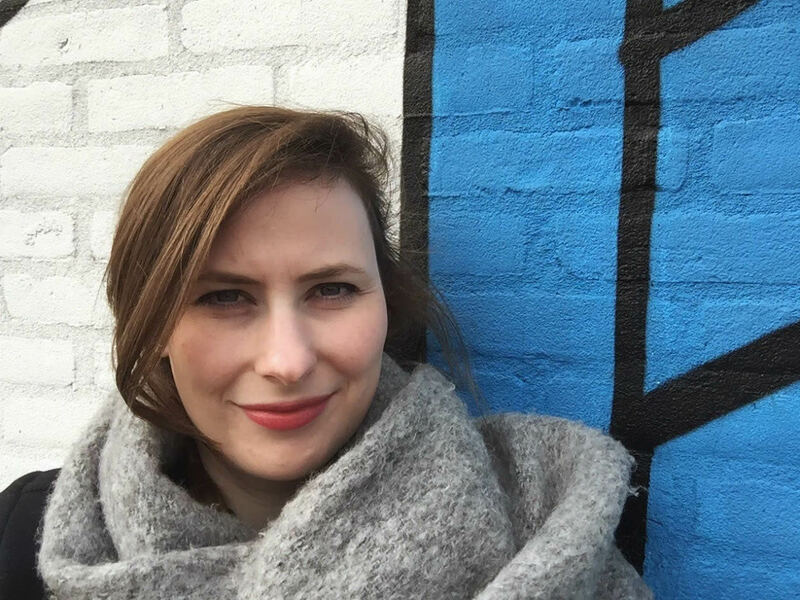 Would you like to learn more about Marieke and her work? Check out her website and her Instagram account!